The way travelers search for and book hotels is changing, with industry data indicating a continued increase in online bookings compared to offline. If hoteliers want to stay in the game and not miss out on a growing number of bookings, they’ll have to keep up with this trend and get online themselves. But it’s about more than just survival. With the right mindset and a little bit of technology, hoteliers can capitalize on the traveler’s shift to an online booking journey, rather than miss out on direct bookings because of it. For travelers, the process of booking a hotel has always included three phases: search, book, and stay. Although they’re still going through all three stages of this booking journey, the difference is that now it’s increasingly happening online. That’s why hoteliers need to start embracing new marketing tactics and technologies, so that they can meet the needs of their potential guests exactly where they’re looking for information and win direct bookings from them. The transition to a fully digitized solution to win bookings might seem like an overwhelming task. The good news is that it doesn’t have to be! When hoteliers understand how the market is changing and the influence of metasearch, they’re able to leverage unique opportunities to drive direct bookings and maintain a seamless booking experience for travelers. Many hoteliers are already making the digital switch. They’re making their hotel easy to find by advertising on a leading metasearch marketing channel like trivago. They’re investing in new websites, booking engines, and channel managers to make their hotel bookable online. They’re even making their hotel easier to operate by running all-in-one, cloud-based property management systems. However, incorporating the right technologies is just half of the battle for bookings in today’s marketplace. Yes, technology does make it easier and more efficient for hoteliers to manage all stages of the traveler’s online journey. However, direct bookings won’t happen unless they can achieve sufficient exposure and attract qualified traffic. Today, 50% of all online bookers use metasearch to find their ideal hotel. Since this number will only continue to rise, so too will the value of advertising on a leading metasearch site like trivago, which currently attracts 2 billion visits annually. The reality is that large online travel agencies (OTAs) are competing for metasearch traffic, and they’re investing heavily to do so. When OTAs become powerful marketers in the “search” stage of the booking journey, independent hoteliers can get lost in the shuffle and end up missing out on direct bookings as a result. What can hoteliers do to gain control over the booking funnel? They can start developing a healthier distribution mix—which is a better balance between indirect and direct bookings. Hoteliers who are unable to compete online end up surrendering a large portion of their revenue to third-party booking commissions. While advertising with an OTA can be an effective way to fill rooms, a competitive and sustainable strategy should include a way to increase direct bookings and lower distribution costs over the long term. trivago offers a solution exclusively for independent hoteliers, so that they can become more visible in metasearch search results and drive direct bookings. It’s called Rate Connect, and it’s an expert feature on trivago Hotel Manager. When hoteliers run Rate Connect, their official website rates are prominently displayed in a special blue placement on their hotel profile on trivago. This blue placement is unique because it’s a fixed link located alongside the most competitive OTA rates for their property. This means that from the moment a hotelier activates Rate Connect, they instantly increase the visibility of their official website rates and open a new channel that leads traffic from trivago straight to their booking page. Running a Rate Connect campaign is easy, too. The first step is to select the markets. The second is to set a monthly budget using a simple slider tool that shows a personalized recommendation to help determine the right amount for the given property. That’s it. The rest is fully automated by trivago. Rate Connect CPCs (the amount of the budget consumed each time a traveler clicks on the website rate in the blue placement) are automatically optimized on a daily basis to ensure the campaign is competitive and that it stays within the budget. And clear analytics are continuously generated to show hoteliers how their campaign is performing over time. In the future, competing for bookings will require a proactive decision by the hotelier to take control of their own booking destiny and embrace digitized solutions. Rate Connect is the solution from trivago that enables hoteliers to be more competitive in the “search” and “book” stages of the traveler’s online booking journey. 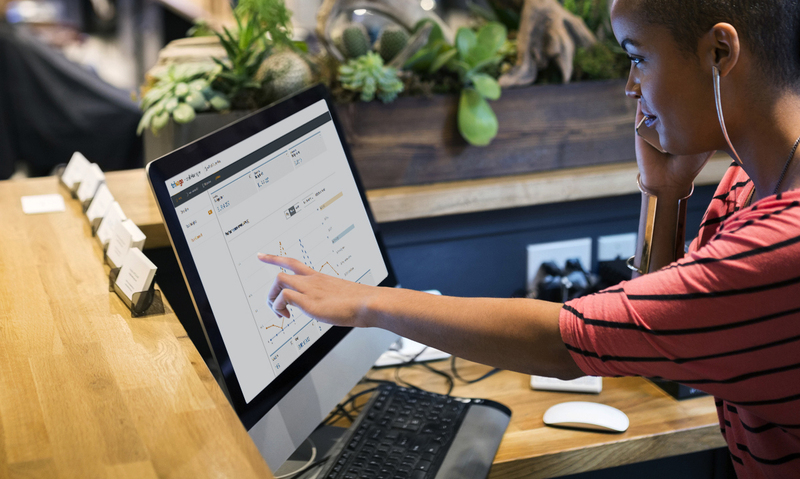 By amplifying their presence on metasearch with Rate Connect, hoteliers can start driving more direct bookings and lowering their distribution costs.